Charity Single – Shout It From The Rooftops! 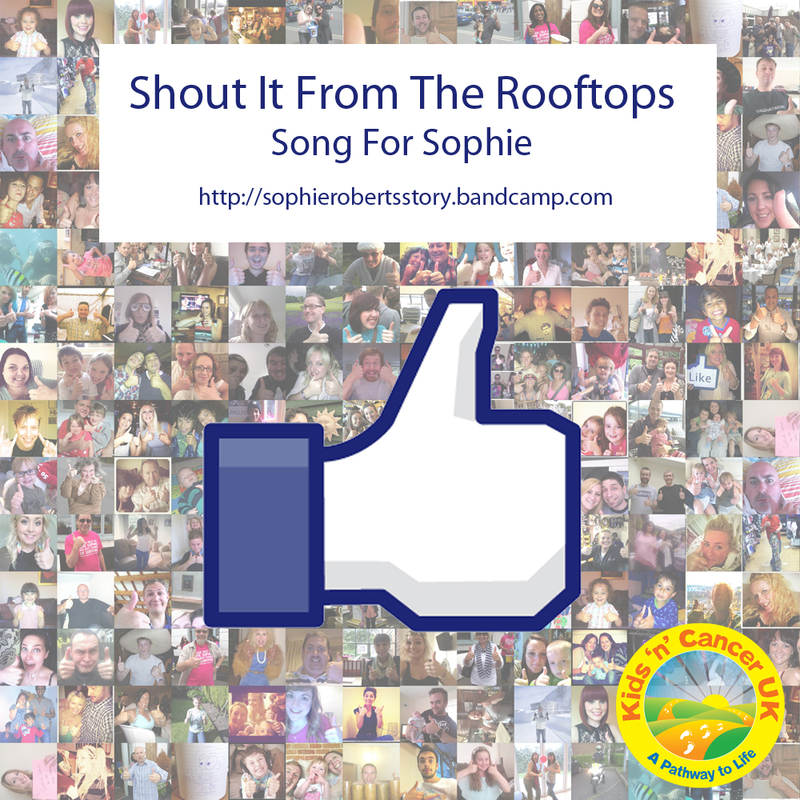 Our amazing friends at ACM released a fantastic charity single for Sophie, ‘Shout it from the Rooftops’, which you can purchase here http://sophierobertsstory.bandcamp.com/. ‘Shout if from the rooftops’ is a charity single that’s been written, recorded and released to help Andrew and Ruth raise the funds for the operation, and to help other children like Sophie. Guildford’s Academy of Contemporary Music (ACM) operations manager Adam Pain, head of part time studies Roger Davis and song writing lecturer Tim Bricheno wrote the song in a matter of days and just a week after first putting pen to paper and with the help of ACM music production lecturer Clive Cherry, recording was underway. Main vocals for the track were provided by legendary Go West frontman Peter Cox, alongside the awesome John James Newman and highly acclaimed session singer and ACM tutor Katie Hector. Jamie West-Oram from the hugely influential band ‘The Fixx’ supplied guitar parts whilst drums were supplied by Go West Drummer (and another ACM tutor!) Richard Brook. Composer, guitarist and ACM lecturer Giorgio Serci also donated his time to create a string arrangement for the track. Top vocalists Rose Betteridge and Deborah Pain provided backing vocals. Grammy Award winning producer Stephen Harris, who has mixed and produced tracks for the likes of U2, Kula Shaker and The Kaiser Chiefs agreed to mix the song for the team, giving it the final touches ready for release. Special thanks to: Simon Venn, Chris Jenkins, Julie Cherry and everyone who sent in a thumbs up picture for the video. Marvellous effort!